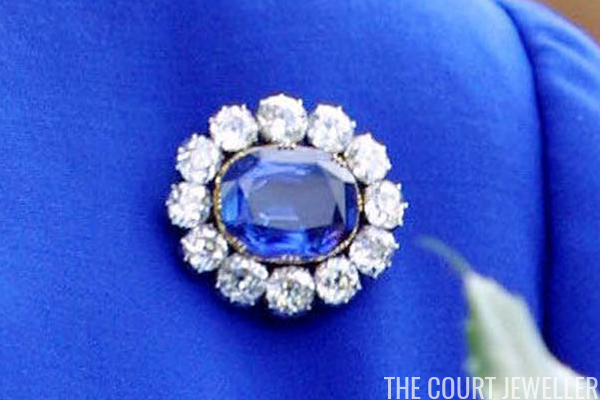 The Albert Brooch: In 1840, Prince Albert presented Queen Victoria with this gorgeous sapphire and diamond cluster brooch on the night before her wedding. 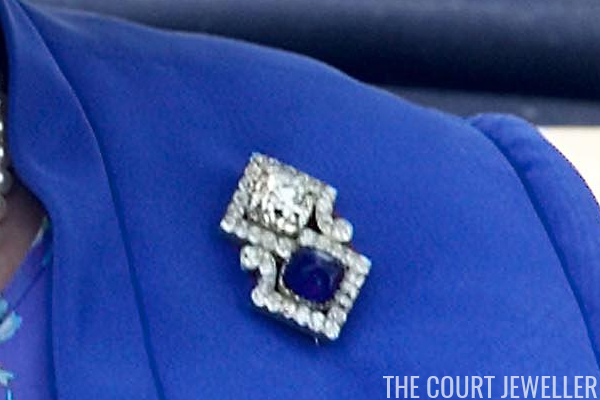 She pinned it to her wedding gown the next day, and it's been with the main line of the royal family ever since. 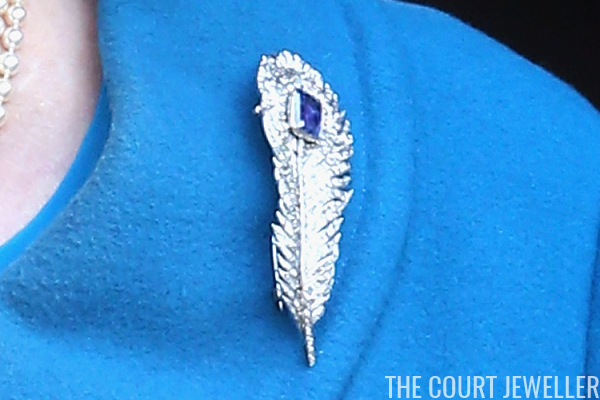 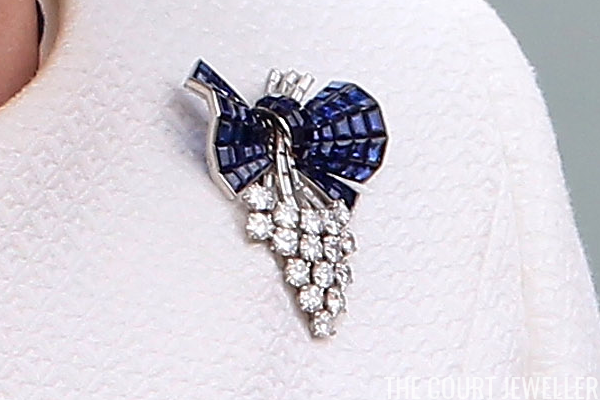 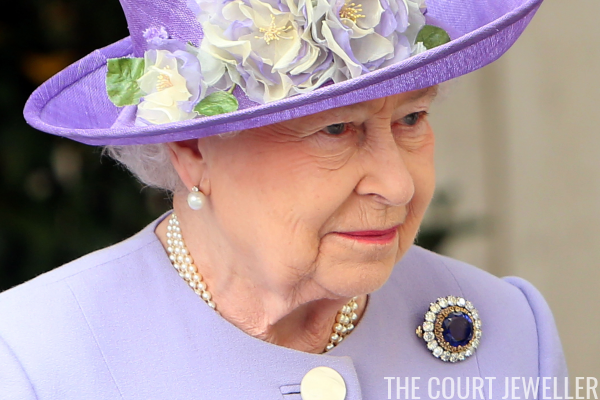 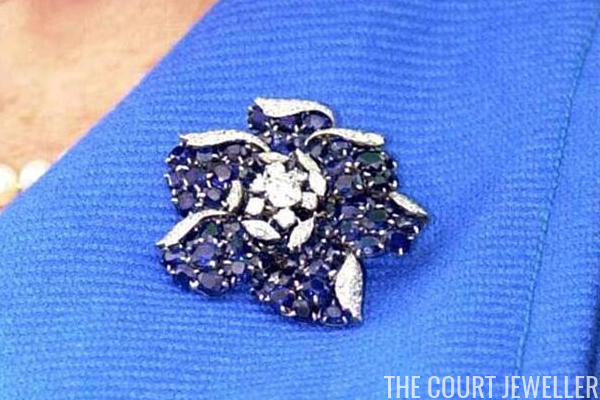 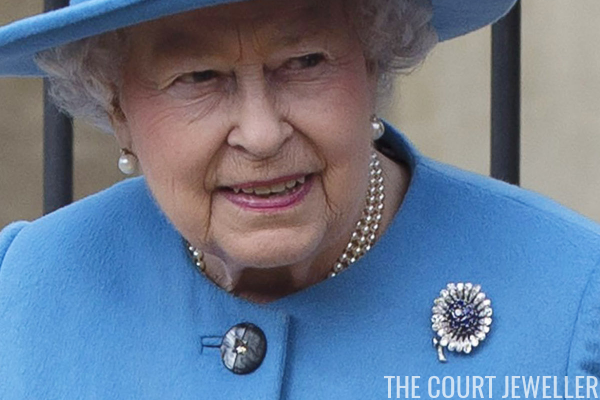 The Queen received this brooch with the rest of the crown heirloom collection in 1952 when she ascended to the throne, and she wears it regularly. 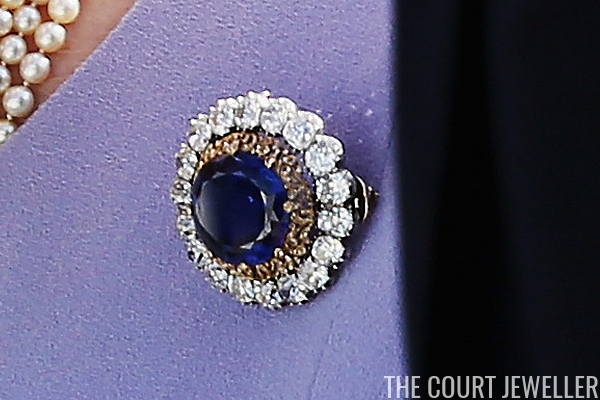 Queen Mary's Russian Brooch: Empress Marie Feodorovna gave this lovely geometric brooch, which features a sugarloaf cabochon sapphire, to Queen Mary as a wedding gift in 1893. 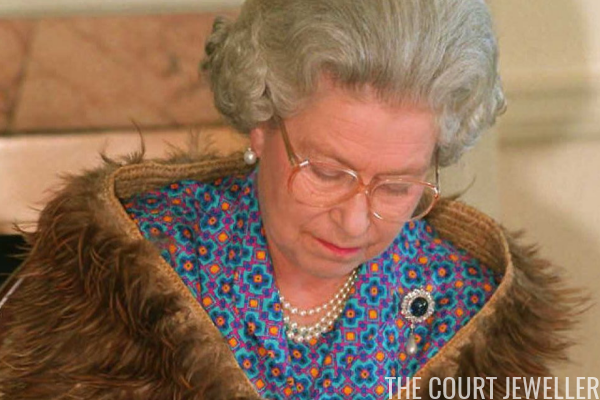 The Queen inherited it from her grandmother in 1953, and she's been wearing it now for more than half a century.